Many veteran cricketers are calling the Pant and Shaw future of Indian cricket. 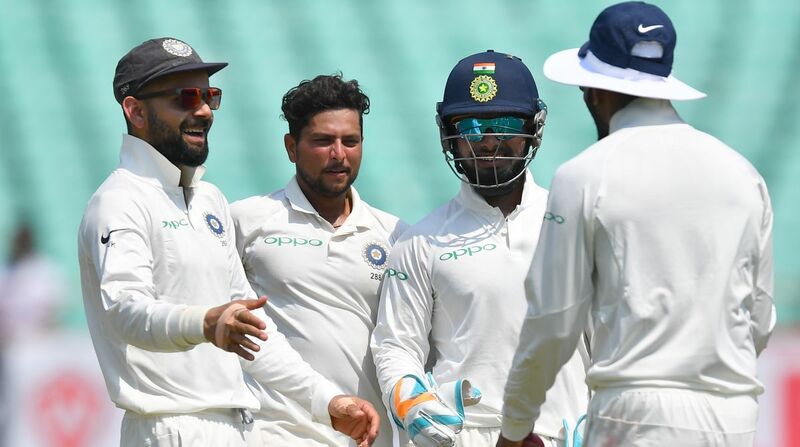 After humiliation in England, Virat Kohli-led India registered a thumping win over West Indies in the two-match Test series. Though the scoreline of India vs West Indies series was on expected lines and there is a sense of achievement among Indian fans, the quality of opposition should also be taken into consideration before any sense of contentment sets in. The outstanding performance of two youngsters Prithvi Shaw and Rishabh Pant is the biggest positive from the recently concluded Test series of India. Many veteran cricketers are calling the two future of Indian cricket. While Prithvi Shaw stole the limelight on his debut by scoring a brilliant Test century and followed it up with a half-century in the second Test, young Delhi keeper Rishabh Pant managed to continue his good form. Rishabh Pant has impressed the selectors with his batting, and ahead of upcoming big tour of Australia has put the selectors in a dilemma. Since former Indian skipper Mahendra Singh Dhoni announced his retirement from the longest format of the game, Wriddhiman Saha has been the first Test wicket-keeper choice for selectors. Though Ravi Shastri has not directly named the Delhi batsman, it is clear that Rishah Pant has impressed him and the selectors. However, he needs to work on his wicket-keeping skills if he wishes to succeed MS Dhoni as a keeper.